Tea Happiness- A blog on tea drinking, tea history, tea industry interviews, NYC tea experiences! 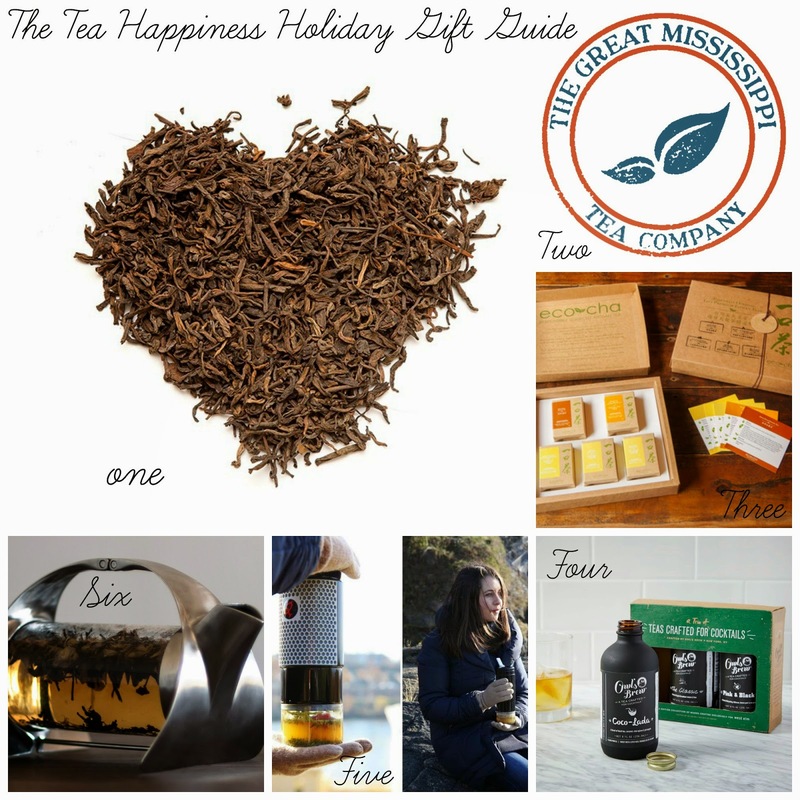 : The Tea Happiness Holiday Gift Guide! The Tea Happiness Holiday Gift Guide! 1. Monthly Tea Subscription: Tea subscriptions are common these days, but Global Tea Hut stands out as a well curated, deeply meaningful monthly tea adventure. 2. Adopt a tea plant: Who wouldn't love their own person tea plant? You can adopt your own from The Great Mississippi Tea Company. With an adoption you get to visit the plantation any time you like to, and of course, tea to drink. Note: If you choose to purchase, once you've "adopted" and finished the PayPal process, be sure to click on the "Go back to the GMSTeaCo page" and enter in your email address. 3. Go green: purchase sustainable, responsibly produced tea from Eco-Cha where you will also be supporting small tea farmers. I have some of their wonderful tea, keep your eyes peeled for a review soon. 4. Get Boozy! : I love the Owl's Brew products, and this set of their three fun tea infused mixers would be perfect for any holiday cocktail party. All three flavors are divine. 5. Support an innovative kickstarter campaign: The Qterra NOVO Travel Tea Brewer has a unique design inspired by South American and Chinese tea traditions. 6. Get Fancy: If you're looking for a super lux tea gift for the tea aficionado that has everything, look no further than the gorgeous Sorapot. An artistic, functional design that will be the highlight of any modern teapot collection. What gifts are you hoping to give and receive this year? Let me know in the comments! Nice options! The Qterra is intriguing. I like the tea subscription concept too.